This Ornate Magical and Intelligent weapon was once wielded under the influential hand of LORD FLASHEART and is now believed to lie in the Tomb of Qoraz on the Island of Karn’lothra. Some sages say it is divine payment for the removal of the BOOK OF VAEL TUROG. Intelligent Nodachi Sword of the SERVITOR SPIRIT: Sir Renly Baratheon, Knight of St Rosinade, of the Order of Mavros. Can see and hear in 30’ radius. SPECIAL: Commune once per month as Cleric Level 11. If at any time the wielder of the blade acts contrary to the strict Lawful Neutral alignment of the blade, there may be a battle of wills for dominance. (Character Will Save v DC 7 Ego or dominated for a day – see Intelligent Items). St Rosinade was famous for being blessed with a sweat deadly to dragons and is known as the only man ever to wrestle an adult dragon into submission. At the time of his crusades against the Mharoti empire, St Rosinade was accompanied by a squad of devoted followers, one of which was the beloved Knight Sir Renly Baratheon. When Sir Renly fell in battle, St Rosinade had his spirit enshrined in a mighty weapon which he kept by his side until his own death. It is not certain what happened to the sword after the death of St Rosinade. Some say that it was taken to the heavens to fight drake spirits but others say it was buried deep in a tomb near the Seat of Mavros. Whichever was true, it turned up in the arms of a babe found in the Wasted West by religious merchants who named the child Lord Flasheart. 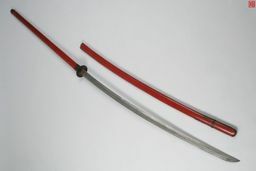 They themselves did not know of the blade but realised it was an important heirloom and kept it safe for the child until he was able to start using it. At the age of eight, after Lord Flasheart had received a vision from Mavros encouraging him to make his way toward Zobeck, the sword revealed itself to its wielder telepathically and vowed that it would stay with him so long as it had the will to do so. The sword was lost to LORD FLASHEART when he became a shadow servant of the Undead creature that killed him.